Risk Assessment – Farm Safety Nova Scotia – Safe Farming. Safe Families. Safe Employees. Once a hazard has been identified, employers need to assess the hazard by the degree of risk posed to the farm’s workers or visitors – this process is typically called a risk assessment. The reason for completing a risk assessment is to help prioritize the order in which you will address these risks. The next section of this workbook will help you determine the controls to put in place to protect workers and visitors from these hazards after completing the assessment. Risk assessment – process to identify, evaluate and prioritize hazards and risks. Hazard – any source of potential damage, harm or adverse health effects. 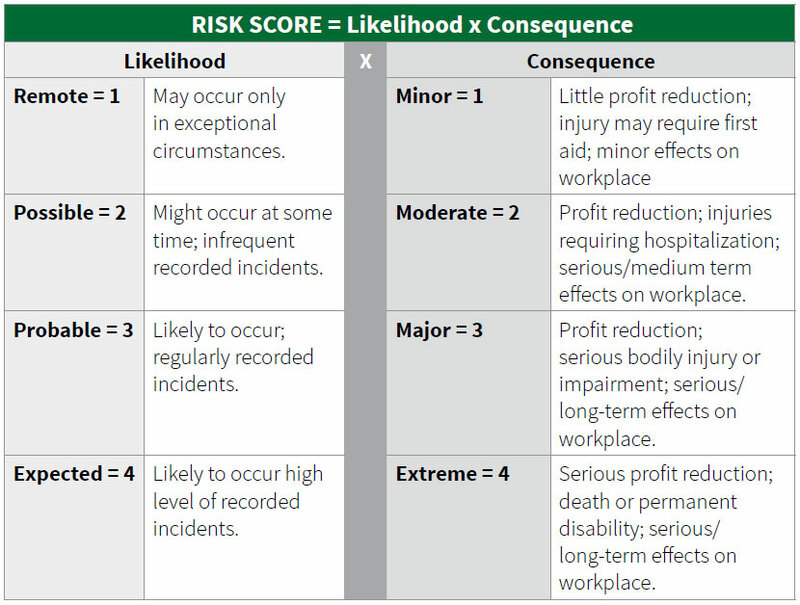 Risk – the chance or probability that a person will become harmed or experience an adverse health effect or that potential damage will occur, if exposed to a hazard. When determining the degree of risk to workers, you must consider the consequence and impact of exposure (e.g. injury or illness) along with the likelihood of occurrence. The easiest way to conduct a risk assessment is to assign a risk score to the hazard. know of past incidents, how serious was the outcome? determine the risks associated with the hazards on your farm. Low Risk (1 – 2): They are risks of less significance and should be managed accordingly. 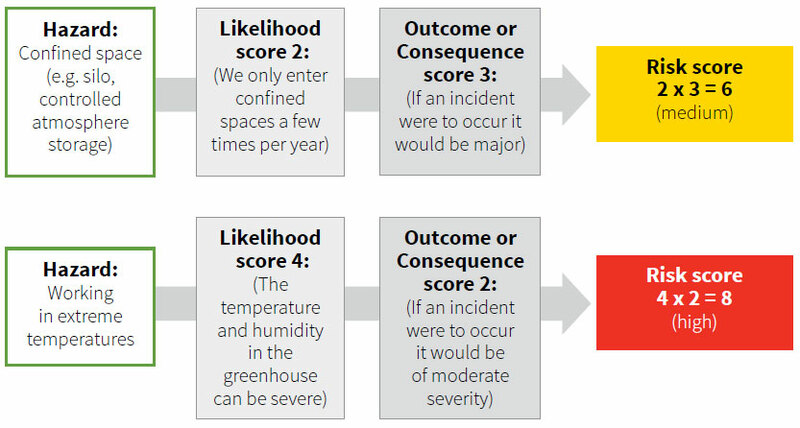 Moderate Risk (3 – 6): These risks are also significant and should be addressed following high risk items. High Risk (8 – 16): These risks are critical risks requiring immediate attention. They must be treated as high priority. Refer to your workbook to complete your risk assessment. Why does Workplace Health and Safety Matter?